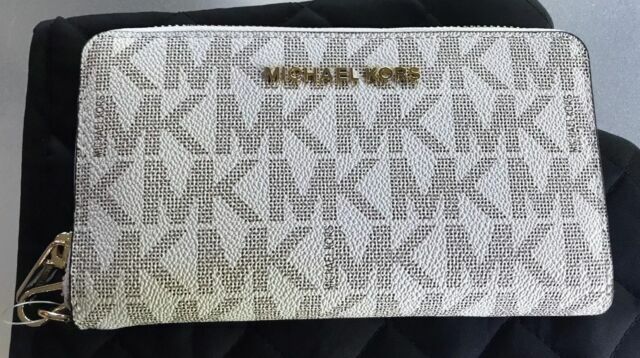 Mk signature Vanilla wallet. MK gold letter logo. I bought this for my granddaughter and she loves this Micheal Kors jet set signature Lg multifunction phone case wristlet wallet. I bought the wristlet to match my bag.It haso alot of room,perfect to wear by itself.